Winter is a time when many people pack on a few pounds. Between holiday parties, cold weather making it harder to get outside and exercise, boredom eating, and a lowered metabolic rate, it’s easy to see why winter weight gain is common. But now that the weather is (FINALLY!) to get warmer, it’s time to restart your outdoor exercise routine. What activity you do is not as important as just doing some sort of physical activity REGULARLY! See our post “The best exercise for low back pain?...JUST MOVE!”. Good choices of exercise for weight loss include a combination of aerobic activities (i.e. walking, running, biking, hiking, or swimming) along with strength training to build more lean muscle mass, which will help you to burn more calories throughout the day. 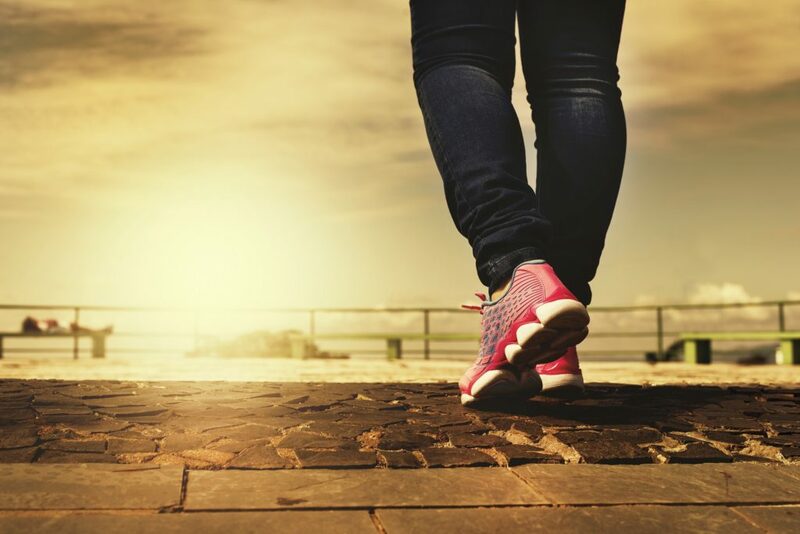 However, just being more physically active throughout your day such as gardening, doing housework or yardwork, and going to the grocery store can be forms of “exercise” if you have not been physically active for a while. The toughest part of restarting an exercise program is just getting started. They key point is starting small with an amount of activity that you can consistently commit to. Initially it’s not important how long or how hard you exercise, but that you get in the habit of doing it regularly. Research shows it takes an average of 66 days (ranging from 18 to 254 days) to form a new habit. Check out this TED Talk by BJ Fogg “Forget big change, start with a tiny habit”. By celebrating the small victories (i.e. flossing 1 tooth, doing 2 pushups), those small victories will create habits that eventually lead to larger victories. Contact us get a custom exercise program designed to help you meet your individual goals. In addition to becoming more active it is also important to decrease the amount of calories you eat while making sure to still get all of the nutrients you need. Stay tuned for our next blog post which will feature vital nutritional information you need to help you progress toward your weight loss goal. Celebrating 1 year of helping St. Louis overcome pain and restore health!